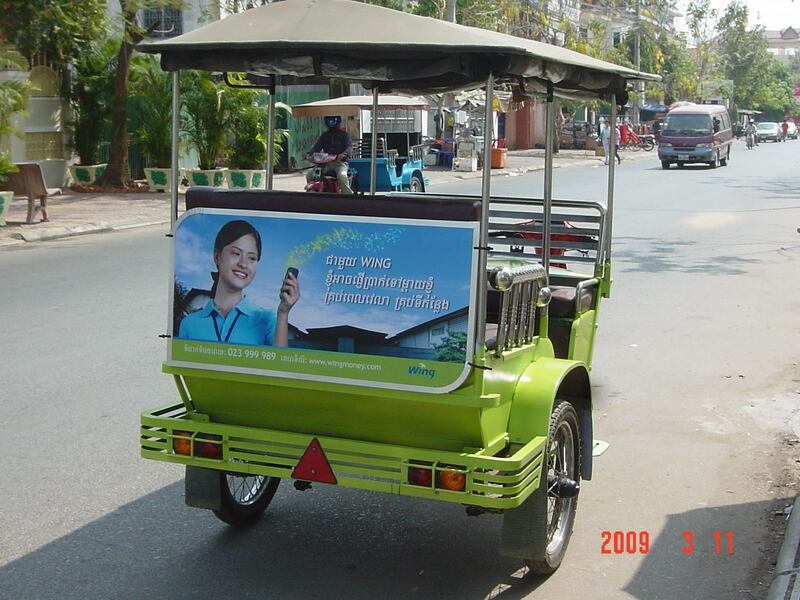 Mobile Money Asia: What have I learnt from building two mobile money businesses? What have I learnt from building two mobile money businesses? I have had the privilege in my career to be accountable to build two mobile money businesses in South East Asia. The first, Wing Cambodia is now doing billions of dollars worth of payments on a monthly basis, and is globally seen as a success story. The second, Wave Money in Myanmar is shortly to commercially launch, however we are very excited about its prospects. I recently had the opportunity to meet some of my old team members in Phnom Penh, and I was reflecting on what I have learnt from these two similar, but also very different experiences. I hope it is interesting for those who follow the mobile money field. Hire the best people. In both of these experiences we hired the very best local and international talent we could find. In Cambodia, we had a policy of hiring young and smart as we were building a business where distinctive skills were difficult to come by. This strategy proved to be successful, as the majority of our local managers in Cambodia from 2008 have now gone on to be the nucleus of an industry talent pool that has extended into microfinance, insurance and other financial services. 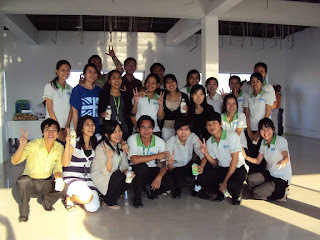 In Wave Money, we have similarly hired the best in Myanmar and beyond. The team we have created is motivated, passionate and extremely diverse. With 11 nationalities and 45% of our employees who are female, we have formed a diverse team that is persistent and fanatical about making Wave Money a local and international success story. Create a vision that becomes a cause. When we started Wing in Cambodia, we had the simple vision of ‘Making Money Fair’. We knew that for the majority of Cambodians, money was not fair. It was not easy or cheap to send money to loved ones, it was not safe to store money in group accommodation at factory sites, and it was not secure to carry large amounts of money around. We hired people who were committed to this vision and who worked hard to make it a reality. Those who were more self-centered or had doubts fell by the wayside as the true believers fought for the cause. I feel the same way about my current team in Myanmar. Our team understands the difficulty that comes from being excluded from the formal financial sector and they are passionate about making a positive change for their country. By the way, if you want to join our great team, please take a look at our open vacancies! Distribution matters over all. 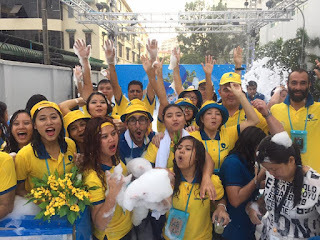 Wing Cambodia was originally owned by a bank, and the strategy for distribution was built with a similar mindset to how a bank rolls out a point of sale network. The original strategy of individually signing up agents and then helping to manage their liquidity was fundamentally flawed. After about six months the strategy was scrapped, and a master agent model was established in its place. 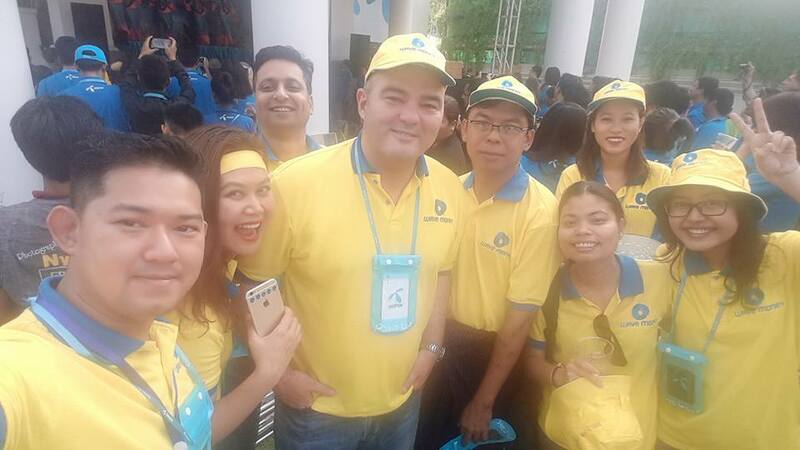 By contrast, Wave Money leverages the distribution strength of one of our owners, Telenor, which allows us to leverage the extensive network that they have built in Myanmar. We are building distribution expertise into our corporate DNA and my leadership team and myself spend as much time as we possibly can in the field meeting our partners. It is only through this hands-on approach that we can effectively build and maintain a network that will be successful. Thinking Agile. When we first started Wing in late 2007 the mobile money industry was in its infancy. A learning we had taken from the banking industry was the importance of ‘test and learn’. This philosophy allowed the credit card industry to successfully test new products in smaller groups, and then adopt the insights to successfully scale products. In using the test and learn principle we tested marketing events and products with smaller groups of customers, and then created concepts such as a ‘Customer Board’ to enable us to truly understand whether we were addressing her needs. In Myanmar we have taken these principles further and have adopted a number of agile philosophies where feedback is built into multiple daily interactions in the team. 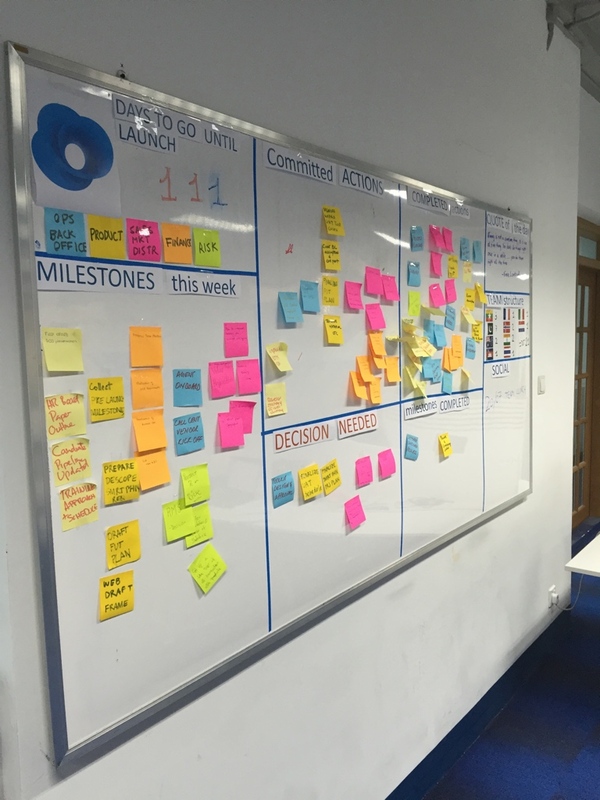 Visual management is a core part of the way we work and management and staff regularly interact to discuss what is working and what is not. Transparency of our successes and our failures is building a culture of trust and ‘no surprises’. The Importance of Fun! I was prompted to write the blog after a dinner with some old Wing colleagues in Phnom Penh over the weekend. The stories and experience that we had building Wing during my time from 2007-2010 were recalled in the laughter and enjoyment in each other’s company. This experience has been replicated around the world when I have been lucky to spend time with other colleagues who have moved onto bigger and better opportunities in places as diverse as Jakarta, New York and Melbourne. Whilst it was tough building a new business those shared experiences created a bond between team members that we still have today. I hope we are creating the same level of enjoyment with my current team in Myanmar, and that in years to come we will all remember the formative years of building out another great business in South East Asia. When I look back at my career, having had the opportunity to build two businesses that will make a positive difference to the lives of people in Cambodia and Myanmar are significant highlights. Whilst very different countries, I believe that many of the philosophies for success remain the same. Hire people who believe in the same cause that you do. Get distribution right and spend time with your partners. Create a culture that encourages trialing new ideas and failure and lastly, make sure people have fun while they are doing it! Brad Jones (@bradjoz) is the Chief Executive Officer of Wave Money, a joint venture for mobile financial services in Myanmar owned by Telenor and Yoma Bank. He was previously Managing Director of Wing Cambodia from 2007 to 2010, and has also worked for Visa and the World Bank Group.